As our kids become more and more educated in computers, it is high time for using various educational programs for their development. 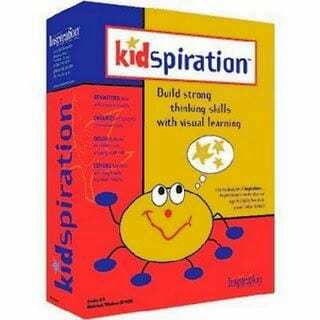 Kidspiration software is one of the top educational tools in this area. With Kidspiration software both children and their teachers get immense opportunities for making educational process more fun, active and efficient. Kidspiration software was mostly developed for the 1 to 3 grades students, but it can also be used all the way up to 5th grade. This software creates inspirational environment for kids to enhance their learning abilities and to get better learning results. Kidspiration software can help your kid to have fun learning math, mastering writing and reading, and developing logical thinking. With Kidspiration software your kid will learn using not only books or texts, but various visual images as well. The program will help them to develop their associative thinking. It also provides practical experience with the learned information. Kidspiration software is a great tool for teachers. It allow them to keep the educational process fun and entertaining, while staying focused on the curriculum. Kidspiration program is built to fit any school curriculum. It helps a teacher to make studies versatile and to engage new educational experiences and ideas into the process. Students become eager to learn with Kidspiration software. Instead of making them do their school or homework, now teachers have hard time slowing them down. Parents will not have to worry about their kids wasting time at their computers playing various games. With Kidspiration program kids learn while they have fun and entertain themselves. They improve both their computer and educational skills. Parents are spared the trouble of making their kids do their homework; while teachers are spared the trouble to teaching dull lessons trying to keep kids’ attention. Kidspiration software makes education fun and effective.